RALEIGH, N.C. – Shanahan Law Group, PLLC is pleased to announce that attorney Jeff Kelly has been appointed to the North Carolina Bar Association Future of Law Committee. The newly-formed Future of Law Committee was established to help North Carolina attorneys stay abreast of rapidly evolving technologies, such as machine learning, artificial intelligence, and blockchain, which are changing the traditional delivery of legal services. The Future of Law Committee is charged with analyzing and contextualizing the impact of leading-edge technology on the law. Kelly’s legal practice is concentrated in areas of complex business litigation and outside corporate counsel services, including corporate and securities litigation, contract enforcement, trade secret and intellectual property protection, and unfair trade practices. 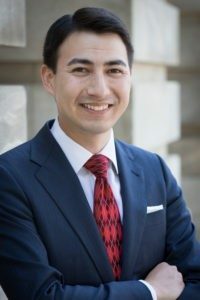 In addition to his legal practice, he co-founded a legal technology start-up through which he independently collects litigation data for legal analytics, risk assessment, and legal project management. Shanahan Law Group is a boutique law firm in Raleigh, North Carolina that offers a full range of business and litigation services. The firm’s multi-faceted team of attorneys assist clients in numerous practice areas, such as complex business litigation, banking and financial institutions, commercial real estate, employment, and corporate law. The firm has offices in downtown Raleigh and North Raleigh. For more information, visit https://shanahanlawgroup.com.